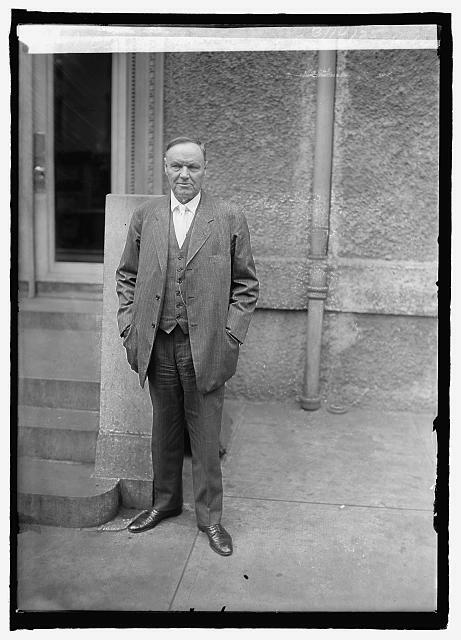 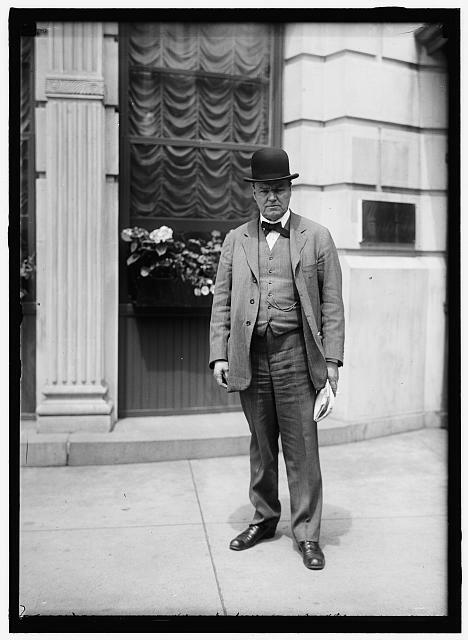 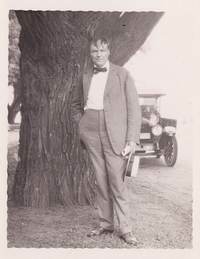 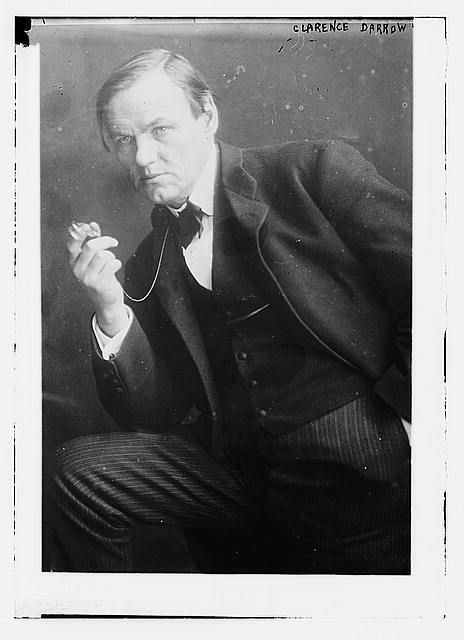 Clarence Darrow at the Cosmos Club, Washington, D.C. March 14, 1925. 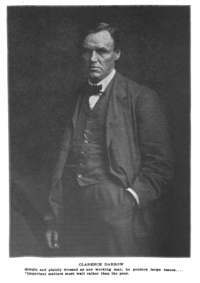 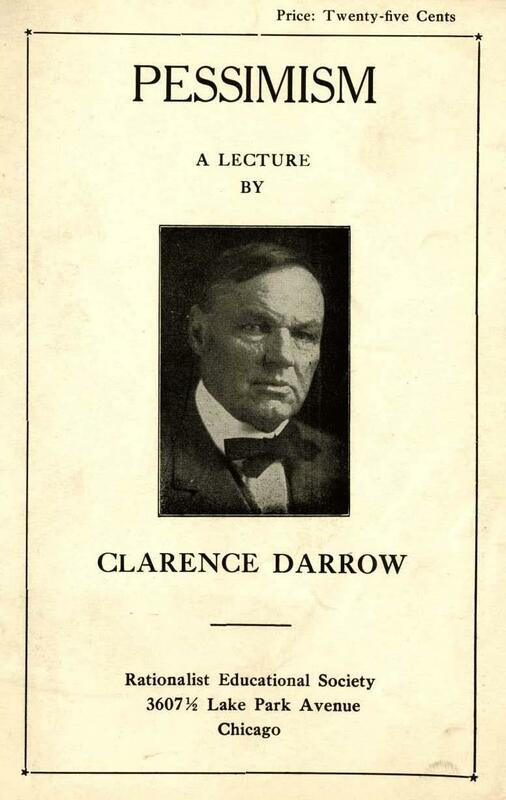 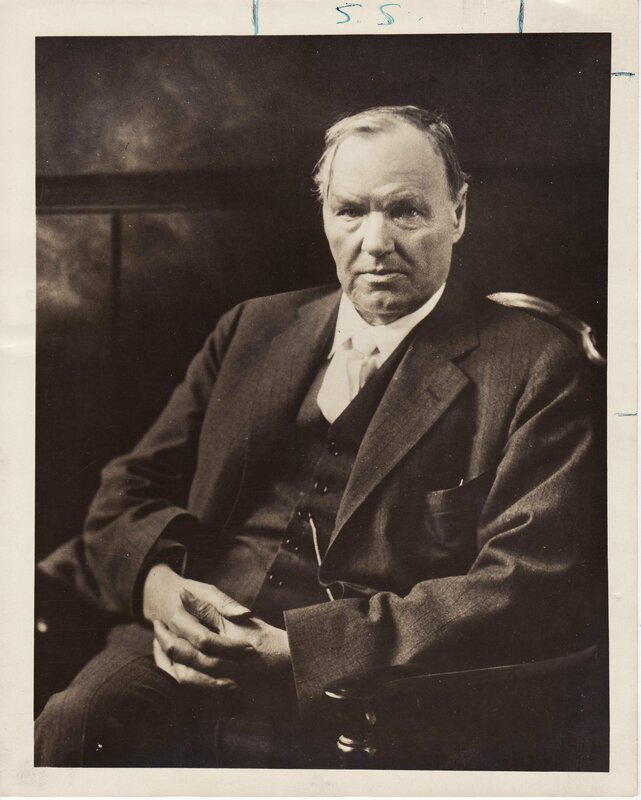 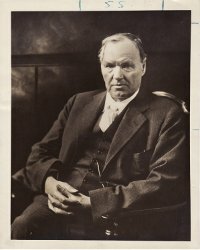 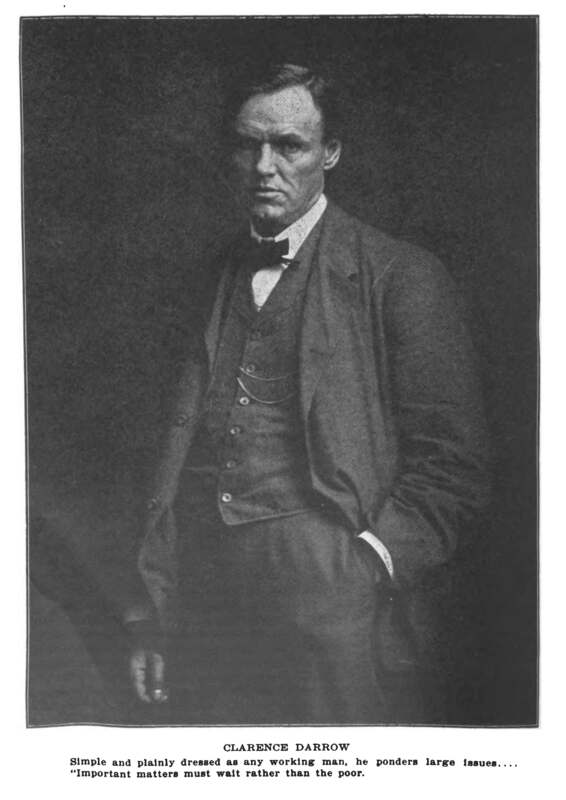 Pessimism: A Lecture by Clarence Darrow held January 11th, 1920. 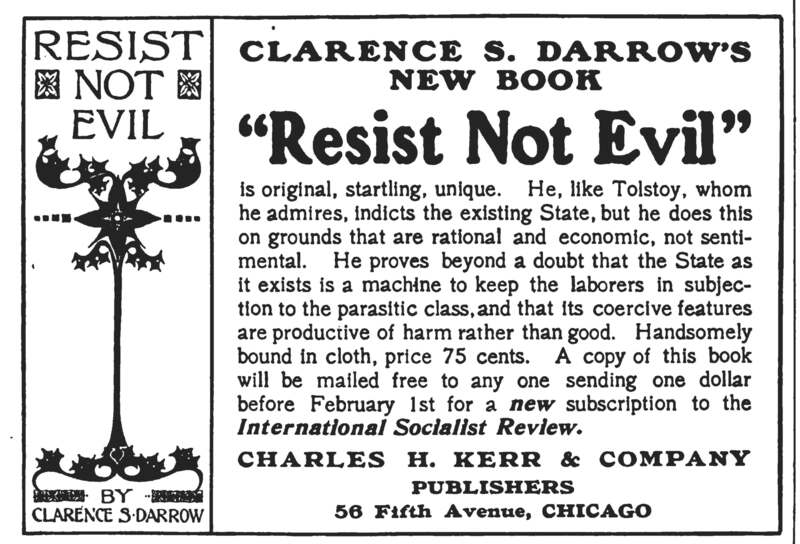 1902 ad for Resist Not Evil by Clarence S. Darrow. 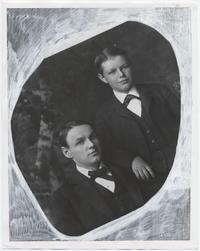 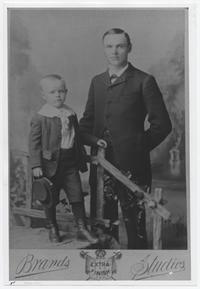 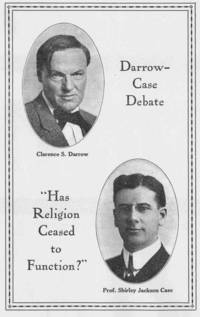 Clarence Darrow and his only child Paul. 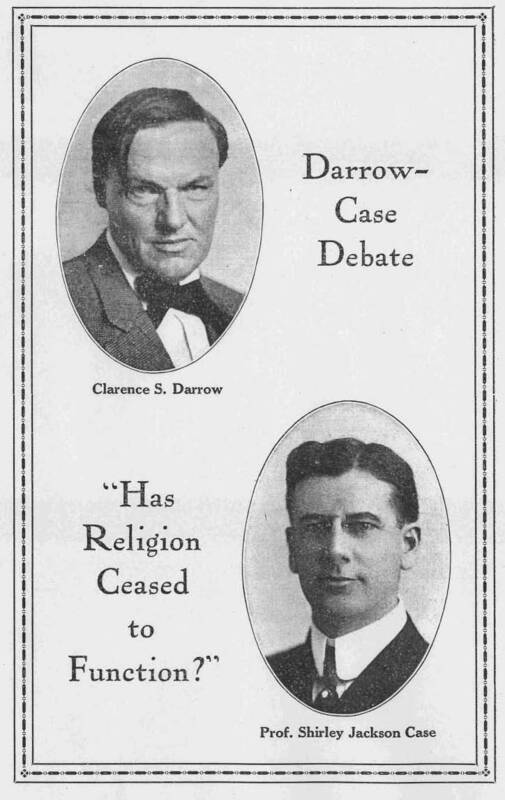 Clarence Darrow and Professor Shirley Jackson Case debate on January 30, 1921: Has Religion Ceased to Function? 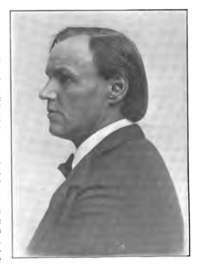 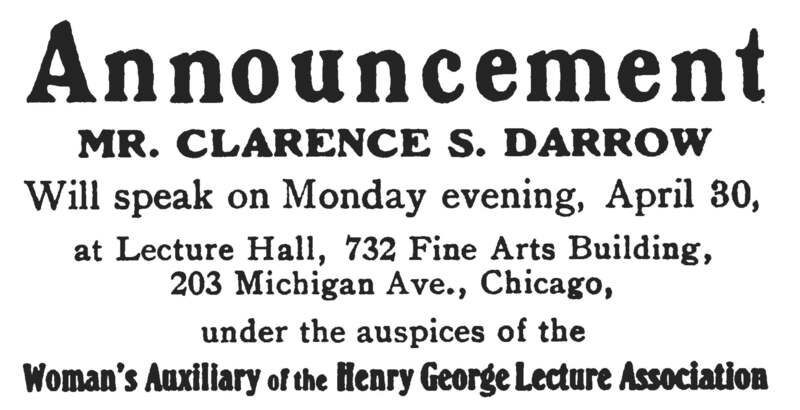 Mr. Clarence S. Darrow Will Speak on April 30, 1906. 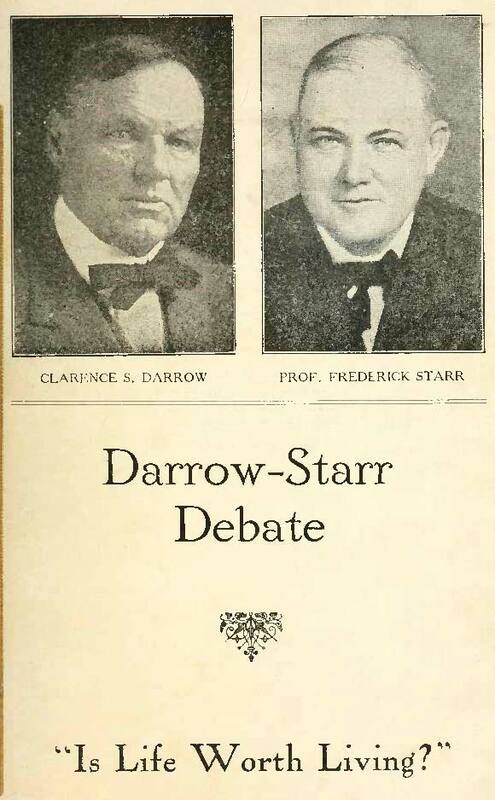 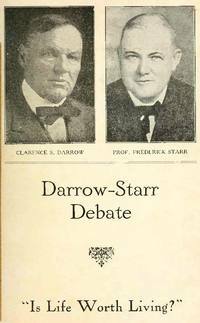 Clarence Darrow and Professor Frederick Starr debate on March 28, 1920: Is Life Worth Living? 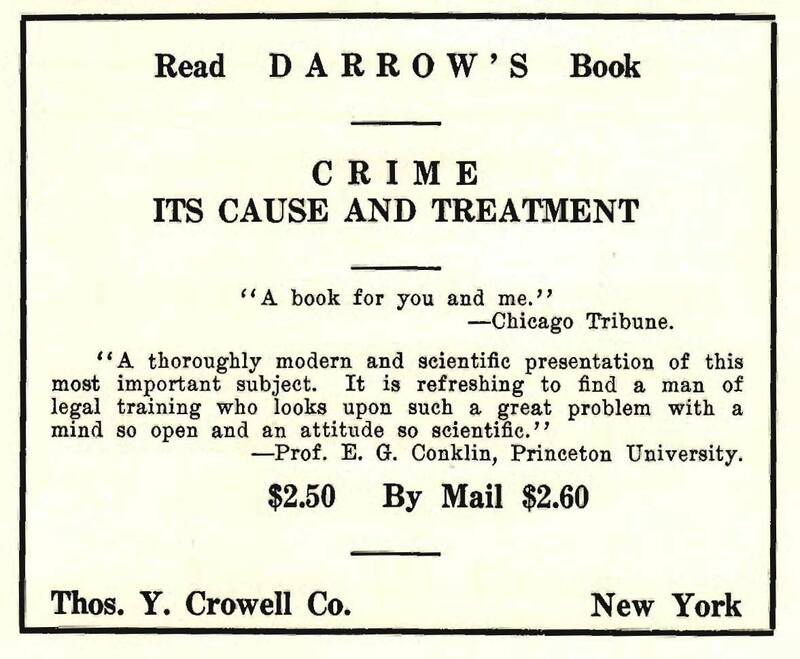 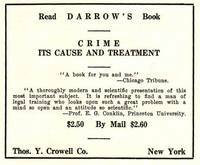 Ad for Clarence Darrow's book Crime: Its Cause and Treatment published in 1922. 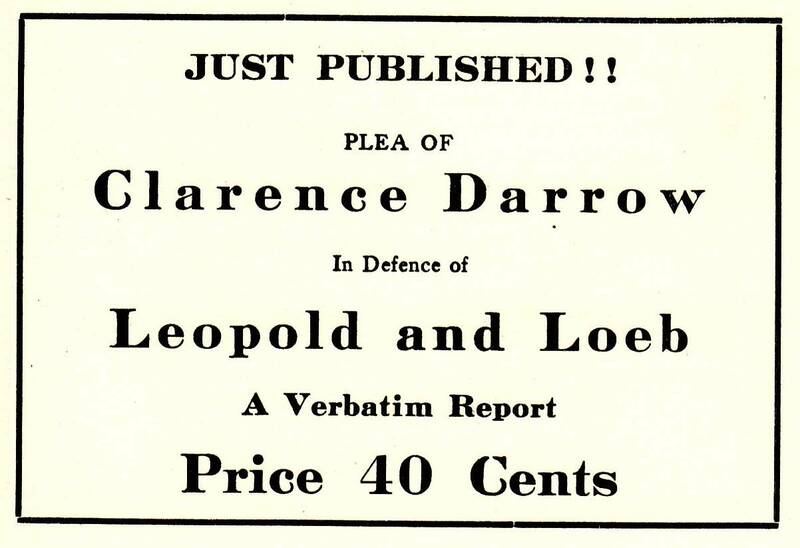 Ad for pamphlet containing Clarence Darrow's appeal for mercy in Leopold and Loeb case in 1924. 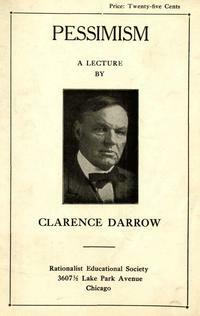 In Memory of Mr. Clarence Darrow. 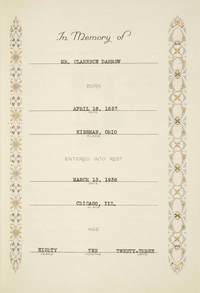 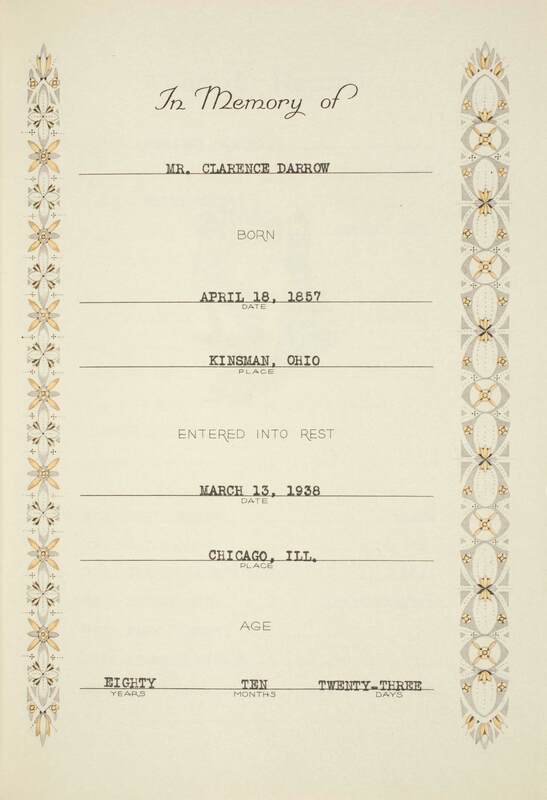 Cover from the funeral book from a memorial service held for Clarence Darrow in Bond Chapel at the University of Chicago on March 15, 1938.